Coming off a six week tour of North and Central America I am always thinking of how to teach Krav Maga more effectively. By more effectively I mean a way that more people can learn the techniques quickly, and be able to use them effectively. Six weeks of touring, many countries, countless students but today I met some people that again, made me think, and rethink. Hatred is everywhere, and hatred against the Jewish communities around the world is once again on the rise. People whose parents and grandparents experienced the Holocaust are now themselves in a position where they must think of self defense. People whom I have known for years, and never were interested in Krav Maga, are suddenly training. And I must think; what is the best way for these people to learn. Let us review. We are not talking about professional athletes. We are not talking about people in the prime of their lives. We are not talking about people who are passionate about martial arts. These people are passionate about other things; their families, their faith, their studies, their communities. And that is how and why they came to Krav Maga. They will devote a couple of nights a week for a few weeks, and that is all. 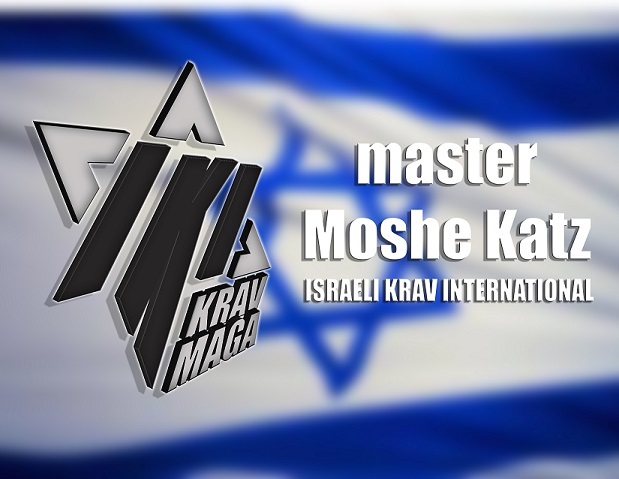 How do we teach Krav Maga in a way that will be effective? 1. Fear - Stop trying to intimidate students, bully them, mock them, put them through military style boot camp until they prove themselves worthy of your attention. 2. Cookie cutter - Stop trying to make the students fit the program. Make the program fit the students. 3. Power trip - Drop the "sensei" power trip. Do not get your thrills by making students your "disciples" and "followers". Do not brow beat them into submission. You cannot demand respect. 4. Competition - Drop the competitive attitude. These people are not here to win tournaments or earn trophies. No one is shooting for "Student of the year" award. 5. It is not about you - Remember you are here to serve, to teach, to meet their needs. When I first started teaching I had an image in mind of what I wanted my dojo to look like. My model was completely inappropriate for my target audience but it took me years to realize this. Do not waste your time trying to make your students fit some image you have of the perfect "dojo". How to improve the speed of learning. 1. Create an atmosphere of cooperation. Our students are not here to compete against each other, they are here to learn. 2. Reduce Stress - I have noticed that relaxed students learn the techniques much faster. Now I will have to explain this as this goes against the common Krav Maga way of thinking. Most Krav Maga instructors want an environment of stress, combat, fear, adrenaline, aggressiveness and competition. I believe they are making a huge mistake. While those elements are essential at a later stage of training they are extremely harmful and detrimental for beginners. In fact with this attitude most beginners will never get to the stage where such training is useful. They will have quit by then. What I have noticed with most beginners, and this includes students with advanced black belts in another styels of martial arts, is that the stress causes very poor learning habits. I see them trying to hard, they are "forcing" the technique, they are putting in too much effort and muscle and this causes the technique to fail. They are not "allowing" the technique to breath, to live. By trying too hard they are working against themselves and greatly slowing down the learning process. And that makes my job much more difficult. 3. Make it about the student - I have seen again and again. The student wants to win the approval of the teacher. We must explain to the student that they did not come to class to impress us, the instructors. They came to learn. They must forget about impressing us. Trying too hard slows down the entire process. Once you are no longer concerned about what impression you are making, on your instructor and classmates, you will be amazed at how fast you pick the techniques. They are designed to be easy, do not make them difficult. And...a spoonful of sugar helps the medicine go down. Train well, train smart. Be happy. DVDs- Step by step easy to follow DVDs from Israel. Tour and Train - Come to Israel and train with students from all over the world. On Line training - Receive up to date clips direct to your email on a daily bases.